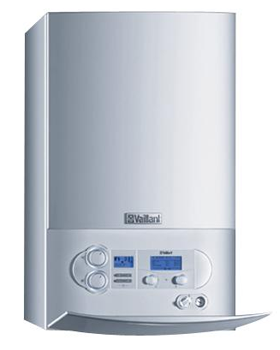 DWM Heating Ltd are specialists in all aspects of plumbing, gas, boilers and central heating systems for domestic customers. We are Gas Safe accredited, and workwith both natural gas and LPG. DWM Heating Ltd takes gas safety seriously. Gas Safe Register is the official gas safety organisation in Great Britain. It replaced CORGI on 1st April 2009. Gas Safe Register is responsible for the registration and regulation of gas engineers. Membership is mandatory for any company or engineer working with gas appliances. If you would like to find out more about Gas Safe Register you can call 0800 408 5500 or visit the Gas Safe Register. We offer a fast reactive as well as proactive service for all sizes of plumbing jobs. We are experienced and professional and work quickly and efficiently to produce quality results. No job is too big or too small; whether it’s repairing an old leaking tap or installing an entirely new central heating system or bathroom. Our friendly engineers will guide you through the works being carried out and can answer any queries you may have. All works are fully guaranteed and our engineers are insured for your peace of mind. very competitive rates. All works comply with the Part L (2001) Building Regulations and come with our own 12 month guarantee. Annual servicing is an essential part of ensuring efficient operation of your boiler, minimizing breakdowns and reducing running costs. Seasonal pricing promotions are available throughout the year so call now to enquire and book. We also offer a Power Flush Service of your heating system. A Power Flush is the most effective way to clean heating systems. we use specialist chemicals from Kamco, and a purpose built power flushing pump designed to cure circulation and boiler noise problems caused by the accumulations of sludge, corrosion deposits and scale, which can be found in many ageing central heating systems. Following this system cleanse we dose your system with corrosion inhibitors to ensure maximum efficiency and longevity. 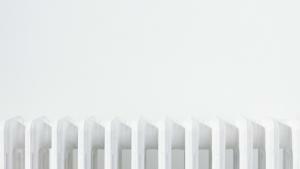 Our Central heating specialists will work with you to consult, design, plan, and install your new or replacement, energy efficient heating solution. 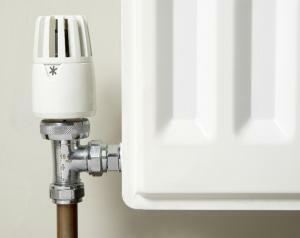 We will select an appropriate heating system that is tailored to the needs of your home. Infinite Heating strictly adheres to all the required safety procedures and our plumbers and heating engineers are all Gas Safe Registered. DWM Heating and Plumbing has a dedicated repairs response team. Our engineers will quickly respond to assess your needs. Where possible, repairs will be carried out immediately and the engineer will arrange to supply and fit new parts only when it is necessary. Our supplier discounts ensure our customers always benefit from competitively priced products. When making a request for a repair, please tell our telephone representatives if there are any vulnerable occupants at the property (Disabled, elderly, infant or those with any special needs). We will then aim to fast track your call and restore your systems to good working order as soon as possible. High efficiency condensing combi or combination boiler is an great space-saving idea, and an increasingly popular choice in UK homes. 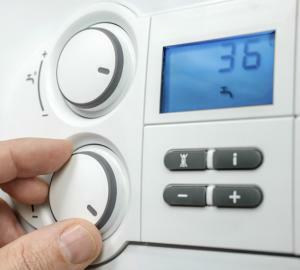 In fact, combis now account for well over half of all the new domestic boilers installed in Britain every year. An example of a central heating and hot water system layout using a regular boiler or open vented boiler. An example of a central heating and hot water system layout using a system boiler with an open vented cylinder. 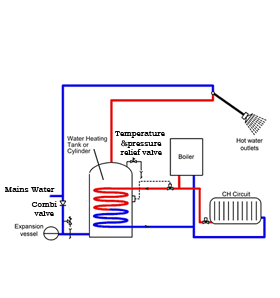 An example of a central heating and hot water system layout using a system boiler with an unvented cylinder.